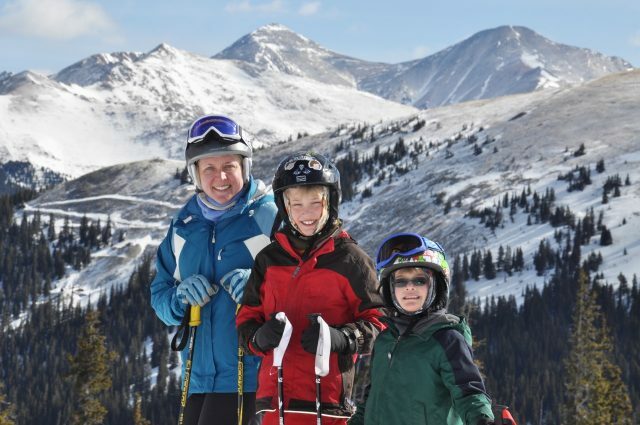 Welcome to the second annual Back to Ski Week sponsored in part by Keystone Resort in Colorado, which is not just a sponsor but is one of my family’s very happy skiing homes. This week is going to be all about the upcoming ski season. You’ll find tips, inspirational stories, and chances to win fab skiing prizes. So let’s get this party started with a bit of classic Mother of all Trips Monday Dreaming, skiing style. Today I’m thinking about hopping on a plane to Denver and heading straight for the Rocky Mountains. Keystone Resort hosted my family with a complimentary trip in 2012, and there wasn’t a lot of snow. So I’m going to dream today that we are visiting on during much more typical conditions, especially in late winter: Immediately after a big snowstorm that’s dumped feet of powder on all 3000 acres. What would I do when we arrived? First on my agenda would be to suit up and head for highest of the resort’s three mountains, The Outback, and some cat skiing in the bowls there. Once I got used to that deep powder, I’d head back to Dercum Mountain for tree skiing in The Windows. Then if my legs could stand it and I could still keep up with the kids (who, I might add, can ski at Keystone for free), I might finish up with a nice long run down to River Run Village for some s’mores at the fire pit by the ice rink in River Run Village, now a daily treat offered to guests of the resort. Terrain parks became a big part of our skiing life last winter, and I’m pretty sure they are here to stay. Both boys love to catch some air and I know that they’d want to hang out at Keystone’s A51 Terrain Park watching the boarders and freestylers there and trying their own moves in the beginners area. In 2012 we didn’t get to try ice skating at either of the resorts two rinks, so that would certainly be on our agenda. And now that Teddy is eight I hope he might feel less intimidated by Keystone’s snow tubing hill, which was just a little bit too fast for him when he was six. We’d for sure spend some time once again exploring the huge snow fort that’s built every year – it might be our first stop in fact, since I know we’d all want to see what shape it will take for 2013-14. 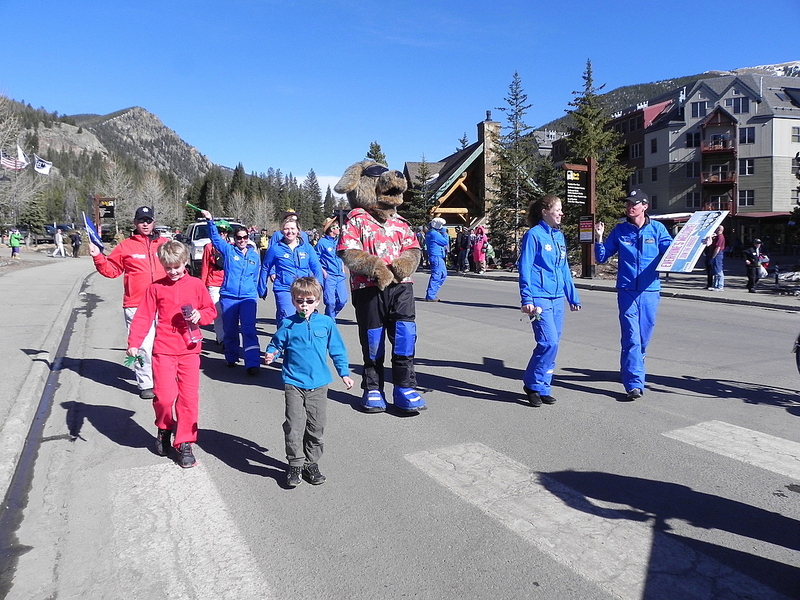 Kidtopia, the name Keystone gives its kid-friendly was a big part of our visit last time we were at Keystone; the boys even got a hug from the mascot Ripperoo. A new activity since our visit is the chance for kids to meet the Avy dogs and the ski patrollers who work with them to help keep the mountains safe. Teddy, who loves animals, would surely be excited and inspired to maybe become a ski patroller himself. And I wonder if he’d once again lead the weekly parade that invites the kids to strut through River Run Village or if this time he’d prefer to ride in the horse-drawn wagon. We had some great dining experiences while we were last at Keystone, including appetizers in front of the huge stone fireplace at the Ski Tip Lodge. This cozy restaurant is situated a short shuttle ride from the lifts in an old stagecoach stop that was also the resort’s original inn. Now that the boys are a little bit older, I’d like to try a full four-course dinner with the locally sourced meat and attentive service that the restaurant is known for. Matt and I might also duck away, as we did on our last visit, for a four-star lunch at 11,444 feet at the Alpenglow Stube. Walk into this light-filled restaurant at the top of North Peak and you are immediately offered the chance to remove your ski boots, put on some warm and soft footwear, and enjoy the view while you dine. We’d linger over lunch and be sure not to skip dessert – the pastry chefs at the Stube are alchemists who turn chocolate, butter, and fruit into creations that are as delicious to eat as they are pretty to look at. For our accommodations at Keystone Resort, I wouldn’t change a thing. We stayed at The Springs in River Run Village. A repeat visit there would give us the chance to put our skis on just outside the door and head over to the ski and ride school building and adjacent gondola. And I know just what Teddy would be up to at the end of our ski day. If you liked this, be sure to check out all my other Keystone Resort posts. 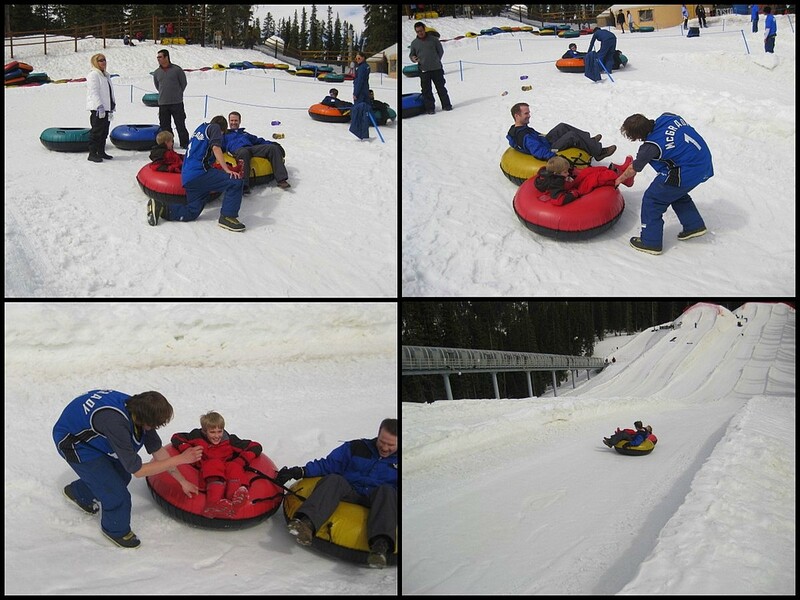 Many thanks to Keystone Resort for hosting us on our original trip and also sponsoring the Back to Ski campaign. You can always count on me to disclose when I’ve been compensated and also to share my honest opinions. Looks like so much fun. I think our 6-year-old son would love this trip. He’d love it with tons of snow or none! Keystone looks fabulous and I love that the kids ski free! Can’t beat that.